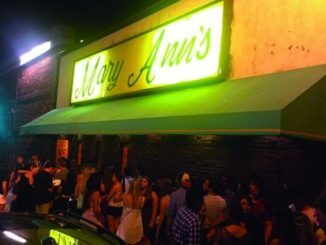 The property containing longtime Boston College social staple Mary Ann’s Bar has been sold to a new investment group called Greatest Boston Bar Co. for $1.51 million. After Stanley Chaban, the bar’s former owner, died in January, his business partner, Barry Bornstein, chose to sell the Cleveland Circle staple to the new group. Universal Hub, a local Boston news source, explained that the investors include City Realty founders Steve Whalen, Fred Starikov, Julian Sokol, William Gateman, and Dana Rosenblatt. Bar representatives declined to comment on the sale to The Heights. Members of the investment group could not immediately be reached for comment. The investment group bought three properties from Bornstein containing three bars: Mary Ann’s, The Tam ($1.6 million), and The Beacon Hill Pub ($5.4 million). According to John Keith, a licensed broker who closely follows local real estate, the purchase was probably fueled by a few factors. “I think the buyer had the opportunity to own three very successful bars that bring in lots of money, at least as far as I can tell, due to the death of the previous owner,” Keith said. “Because the lots are small, there doesn’t seem to be much opportunity to turn these buildings into anything else. Greatest Boston Bar Co. does not automatically get the licenses in the transaction. They will need the transfer approved by the Liquor Licensing Board—of which Mary Ann’s has not always been in the best graces. The new owners will have to convince the board—and the neighbors surrounding Mary Ann’s—that Greatest Boston Bar Co. deserves a clean slate.